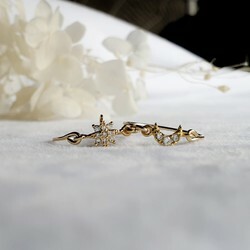 If your ear bones have no pierced ears, these delicate fake earrings are right for you. 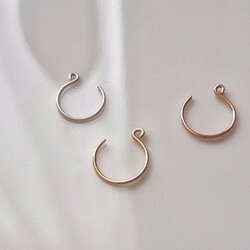 small hoop that is simple and comfortable to wear. These earrings are made from premium 20g wire and have been smoothed at the end to not scratch your skin. circle is adjustable, so you can squeeze it to fit your ear size and it's easy to adjust. ★Please note - sold only, not in pairs. 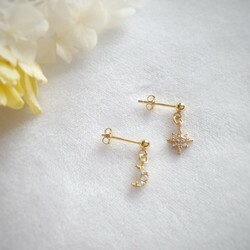 ■100% hand-made line crafts, there will inevitably be some hand-made clamps, please forgive me. ■Please note the line material. If you do not note, you will be prepared for S925 sterling silver. How do you measure your ring diameter? You can measure the distance between your perforation and your ear. If you don't want to fit too much, please add 1mm. is nine thousandths of silver The composition of the second and fifth, there is no 100% sterling silver jewelry in this world. 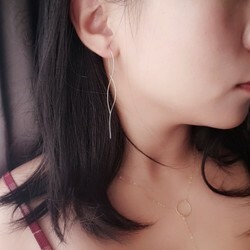 Because sterling silver is very soft metal, it is very easy to deform, so it is necessary to match 7.5 % alloy in silver, which is suitable for jewelry and can also be improved. Its gloss and brightness. 14K GF (Gold-Filled) means 14K forging gold, which is forging 14K gold outside the metal tire under high temperature and high pressure. The surface is stronger than gold plating and wear resistance. High, not easy to lose the gold texture. ■The best way to maintain it is to wear it every day, because body oils give the item a natural, lustrous glow. ■Do not wear a hot spring bath with the swimming pool. ■When not in use, wash off the sweat with water, wipe the surface with cotton or tissue, remove moisture and dirt, and place it in a sealed bag or box to avoid contact with air.